Cop. Drunkard. Low-grade magic user. My name is Gideon Tau, but most people just call me London. (Because that's where I'm from. Get it? Hilarious.) Three years ago, someone killed my daughter. I sacrificed everything (the human race included) to learn his name - and then had to allow that knowledge to be erased from my mind in order to save the world I'd doomed. Fantastic. Now I have to start over from scratch, and who do I have to help me find my daughter's killer? The reanimated corpse of my boss, a low-rent P.I. who's heavily into conspiracy theories, and my alcoholic, foul-mouthed demonic sidekick dog. Our journey will take us from Durban, South Africa to London, England, where we'll have to contend with Fae gangs fighting for territory, the murder-suicide of two Delphic agents and the seven deadly sins. Oh, and did I mention planning a heist to break into the most secure bank in Faerie? Because that's on the agenda too. And if we fail? 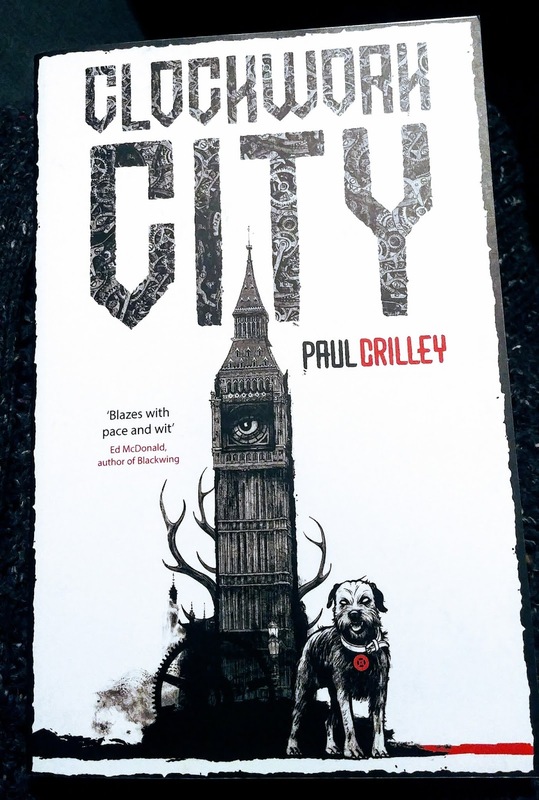 An ancient horned god will destroy London. (The city, not me. Although, to be fair, I don't think I'll survive either. 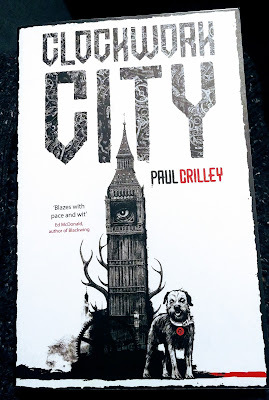 This week, I decided it was time to get back into London's strange and dangerous world. After London--aka Gideon Tau--discovered the name of the one responsible for killing his daughter, he was forced to forget in order to save the world. But what he didn't forget was that his daughter wasn't killed, but taken. And that she's still alive. So every time he's on a case for the Delphic Division, his need to find Cally is first and foremost on his mind. However, when he ends up going to London (the actual city) he'll have to deal with the Fae gangs ruling the place, solving a murder-suicide, an Oracle, and the Seven Deadly Sins. Okay. Like I mentioned above, I enjoyed the first book. A lot. So it pains me to admit that this one disappointed me. I pretty much loved every minute of the first half of this book because the characters are cool, the magic world is intriguing and the supernatural cases are interesting. But when I got to the heist in Faerie, everything fell apart. There were too many POVs added, some bits that didn't make sense--the story was all over the place. The more I read about the team's time in Faerie, the less I felt invested in what was happening and even how it would turn out. There were a few twists and turns I liked, but the fact so much is left up in the air and there's no clear indication if there will be more books in the series, made the ending not so sweet. Clockwork City is an action-packed urban fantasy book and packs quite a punch. It managed to hook me in from the beginning, dragged me around into the middle because I wanted to see where everything would lead, and even kept me interested past that. It wasn't until the heist section that my interest crumbled. After that, it was hard to stay invested. It's a shame when that happens, but what can you do? I'm still glad I read this.